Along with our love for wildlife is a deep appreciation for beautiful art. 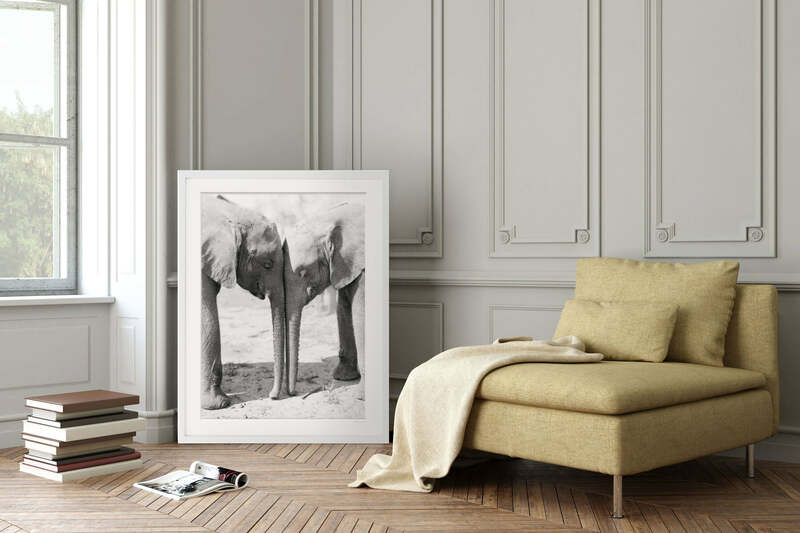 Just as the right caregivers can make the difference for a vulnerable animal, we believe the right piece of art can truly define the aesthetic of any space. While the mission of saving wildlife through choosing the perfect piece of art can be intimidating, it is truly rewarding to know an image you admire daily also contributed to the amazing work of our partner conservancy organizations. 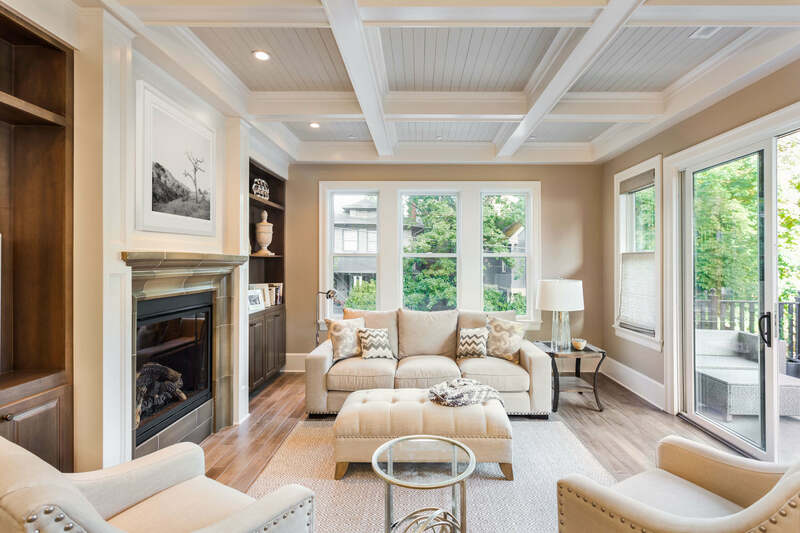 Although selecting art for your home may seem intimidating, follow our tips below to guide you in your selection and arrangement. When displaying multiple pieces of art together, it is best to stick to a consistent palette: hang black and white pieces together and do the same with color. However, within each palette, feel free to play with texture and media. Creating displays intermingled with paintings, photographs, and even mirrors can add striking dimension to your space while still appearing purposefully designed. Blank walls may seem daunting, but they are full of opportunity. First, determine the elements surrounding your piece. If your pieces will hang above any furniture or focal points like a fireplace, you will want your art to span at least ⅔ of the width. It is also important to consider how people will be viewing the work in this space. For instance, when decorating a living or dining room, you should hang pieces lower, so they can be enjoyed while sitting. By contrast, pieces in a hallway should be hung so their centers are at eye level when walking by. When arranging multiple pieces together, choose a large focus piece for the center with the heaviest piece to the bottom left. This will draw the eye across your display, enhancing its impact on the observer. Most importantly, you should ensure any piece of art displayed in your home brings you joy. Your artwork should be a reflection of your personality, style, and values—worry less about rules and focus on hanging pieces that delight you each time you look at them. Mix it up by contrasting a contemporary piece in a traditional space, or a more traditional piece in a contemporary one. Overall, ensure each piece you choose is one you are proud to share with everyone who visits your home. Displaying artwork in your home is more than just aesthetically pleasing; the right pieces are conversation-starters and storytellers. Fine art reflects your values and puts them on display for each visitor to your home. Don’t let external expectations dictate your satisfaction. Choose pieces that are meaningful to you and arrange them in spaces where you enjoy seeing them. If you are passionate about supporting conservation efforts and want your home to share these values, choose pieces that please the eye and warm the heart. You will enjoy them for years to come, and the endangered beneficiaries of your work will be forever grateful.